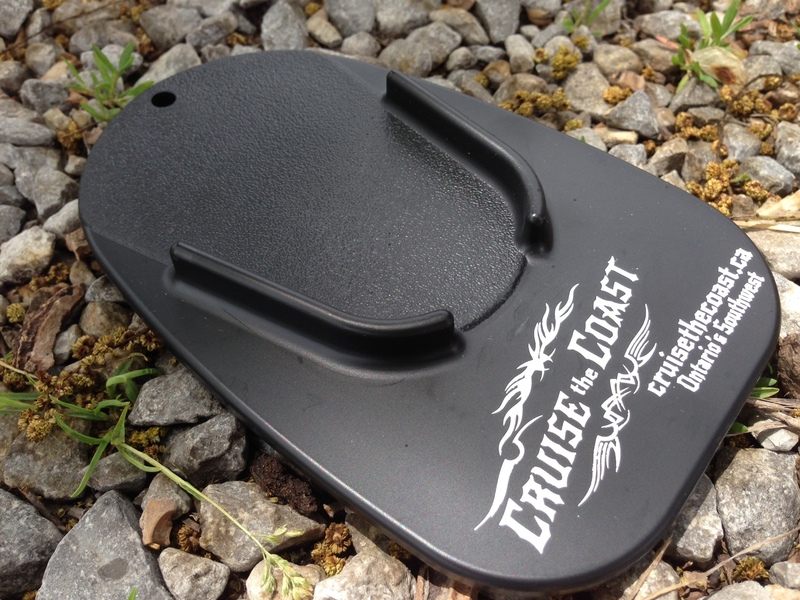 Visit Friday the 13th in Port Dover this year and pick up your very own Cruise the Coast kickstand pad. We only ask that you verify you are on our Cruise the Coast Motorcycle News email list but inputting your name and email address into one of our iPads on-site. This hard plastic kickstand pad is great for stabilizing your machine on iffy ground. The Cruise the Coast booth will be located on Harbour Street (street leading to pier) towards the lighthouse. Watch for the “Norfolk County” colourful van and the “Cruise the Coast” tent.